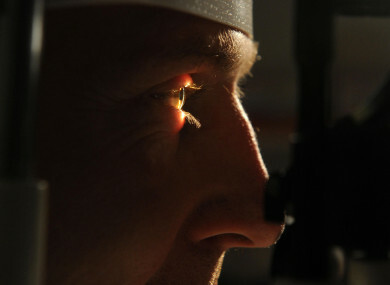 That is according to a new study, which said more than 115 million people will be blind by the middle of this century. The number of visually impaired people is also set to rise. THE NUMBER OF people in the world who are blind is set to increase threefold by 2050, from around 36 million now to 115 million according to a new study. The number of people with a moderate to severe vision impairment – those not corrected by glasses, contact lenses or an operation – will also nearly triple, from about 217 million to 588 million over the same period. While the prevalence of blindness has declined since 1990, growing and aging populations will lead to much higher numbers of people with blindness and visual impairment in the future, researchers said. Looking at data from 188 countries, the researchers concluded that the prevalence of blindness – the number of blind people per population group – decreased from 0.75% in 1990 to 0.48% in 2015. The rate of moderate to severe visual impairment declined from 3.83% to 2.9% over the same time. “This is almost certainly because of improved health interventions,” such as cataract surgery, study co-author Rupert Bourne of the Anglia Ruskin University told AFP. The new forecast is based on UN population projections, even assuming that the prevalence continues to decline, said Bourne. The research did not consider the impact of possible improvements in diagnosis, treatment, and access to healthcare, as “nobody can accurately estimate” what those will be, he added. Someone with moderate visual impairment is considered to be unable to legally drive, and would not recognise another person from across the street. “With the number of people with vision impairment accelerating, we must take action to increase our current treatment efforts at global, regional and country levels,” said Bourne. Investing in these treatments has previously reaped considerable benefits, including improved quality of life, and economic benefits as people remain in work. This study was published in Lancet Global Health. Read: Should Charlie Gard’s name have been made public? Email “The number of blind people in the world is set to triple by 2050”. Feedback on “The number of blind people in the world is set to triple by 2050”.